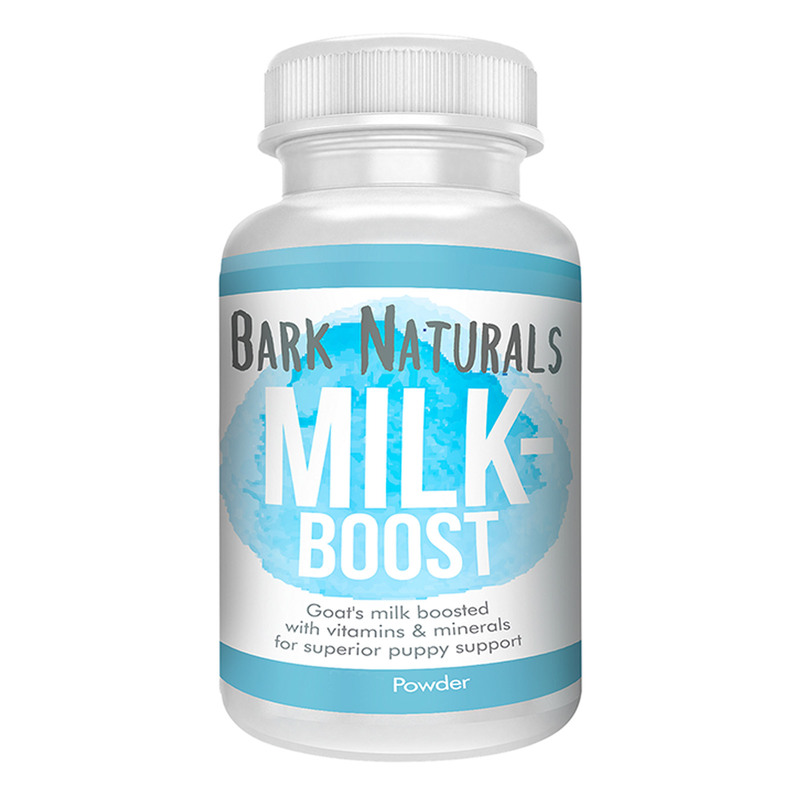 Bark Naturals Milk Boost is a natural milk supplement for new born and growing dogs. Bark Naturals Milk-Boost is specially designed with a wide range of nutrients that are essential at the developing stages of pet’s life. The goat milk helps to improve immunity and aids in brain development. The milk supplement requires no work from the digestive system and is easy on the elimination system. Bark Naturals Milk Boost aids gut health and supports and strengthens muscle building. Formulated with natural goat milk, Bark Naturals Milk Boost is a healthy option for new born animals and growing dogs. Bark Naturals Milk Boost is an enriched milk supplement for dogs. It contains goat’s milk which is easily digested and absorbed by pets. The milk powder is powered by minerals and antioxidants to prevent infection or disease. The proportionate ratio of vitamins helps keep coat cuddly and skin soft. The added amount of proteins and amino acids aids for better growth. The active ingredient Lecithin assists in enhancing pet’s mental development. The milk supplement can be easily administered. 200g to every 1 litre of water. Administer 15-20% of bodyweight per day as a guide. Dosage can be halved for new born animals if required. Please use proper dosage instructions and should a problem occur seek veterinarian advice.